When New York Governor Andrew Cuomo hastily signed a gun control law limiting New Yorkers to just seven round ammunition magazines, he forgot to exempt police officers. 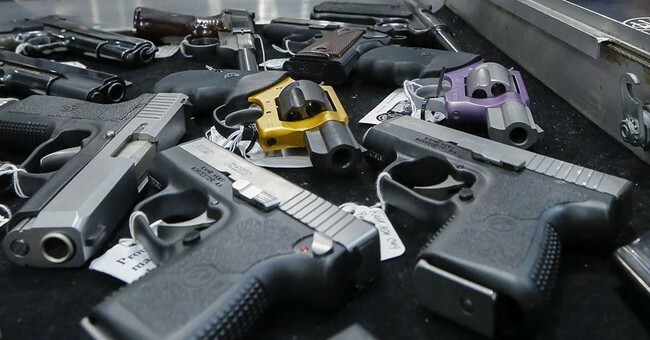 Now, Cuomo is looking to reverse the seven-round magazine portion of the law all together due to seven round magazines not existing in the market place. New Yorkers will still be required to only carry seven bullets at a time in their standard issue 10-round magazines. Gov. Andrew Cuomo said Wednesday the state is not rolling back the nation’s most stringent gun control measure by keeping 10-bullet magazines legal, even though they would have been outlawed in a bill that passed earlier this year. This is so dumb, and what’s the point? Oh wait, there really isn’t one. He says the law is still enforceable. The law was the first gun control measure passed in the nation after the December shooting at Sandy Hook Elementary School in Newtown, Conn., beating release of the Obama administration’s proposal by a day. Cuomo minimized the cleanup now needed in the bill as addressing “ambiguities” and “grammatical errors” and routine for complex measures. They include exempting police and their weapons and allowing Hollywood to continue to film violent movies and TV shows in New York using weapons outlawed under his measure. Since implementing new gun control in New York, Cuomo has seen his approval rating tank by 15 points. Meanwhile, New York City Mayor Michael Bloomberg (who helped buy Colorado Governor John Hickenlooper’s support for new gun control measures) just gave another $2 million to his anti-gun PAC. Mayor Michael Bloomberg remains the sole donor to his super PAC, Independence USA, pitching in $2 million more to the group in February, new reports show. The group spent nearly all of the money it brought in during the month in support of Robin Kelly or against Deborah Halvorson in the House special primary election to replace former Rep. Jesse Jackson Jr., in Illinois. With Bloomberg’s support, Kelly defeated the National Rifle Association-friendly Halvorson, 52 percent to 25 percent. Bloomberg’s group made the off-year special election in Illinois a test case for curbing the power of the NRA.